From left are Areum Jun and Prof. Guntae Kim (School of Energy and Chemical Engineering). 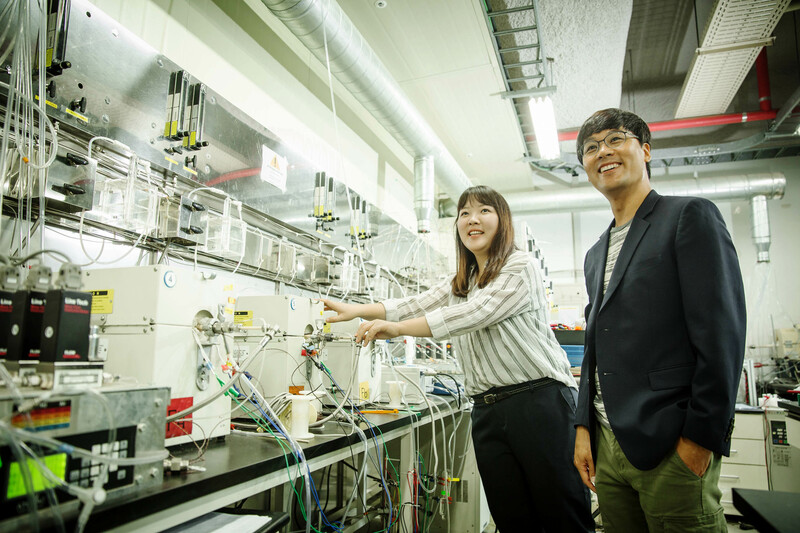 A new research, affiliated with UNIST has presented a new type of fuel cell, which can both store electricity in the form of fuels, like hydrogen and regenerate electricity using stored fuels, in a single system. 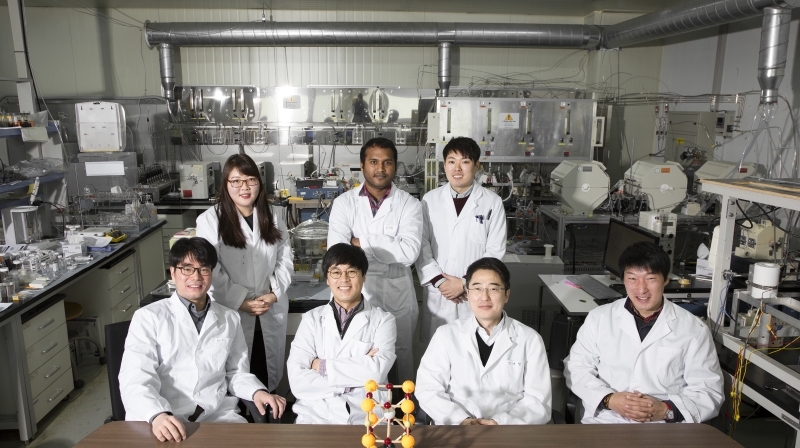 This research has been jointly conducted by Prof. Guntae Kim (School of Energy and Chemical Engineering, UNIST) in collaboration with Prof. Jeeyoung Shin (Department of Mechanical Engineering, Dong-Eui University), and two other researchers from UNIST. In the study, Prof. Kim’s team has successfully designed and fabricated highly efficient solid oxide electrolysis cells (SOECs), using layered perovskites as both-side electrodes for the first time. A typical fuel cell combines hydrogen and oxygen to produce electricity and water, whereas an electrolysis cell uses electricity to split water molecules into hydrogen and oxygen. A SOEC is basically the corresponding fuel cell, Solid Oxide Fuel Cell (SOFC) run in ‘reverse’ mode. Theoritically, SOFCs can operate in both fuel cell and electrolysis operating modes, but they haven’t been very stable. 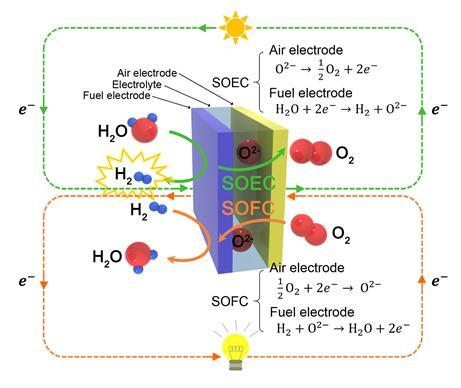 However, the new SOECs with layered perovskite not only provide the highest efficiency of electrolytic hydrogen production, but also operate reliably in fuel cell mode. This is due to the the successful application of the layered perovskite PBM and PBSCF50 as fuel and air electrodes. Approximately 90% of the hydrogen produced today comes from hydrocarbon, and therefore it has been impossible to produce hydrogen without generating any carbon dioxide in the process. The new method, however, allows larger-than-ever quantities of hydrogen to be produced without generating any harmful emissions. In this context, SOECs with layered perovskites appear as a promising CO2 free hydrogen production method. SOECs and SOFCs, which are referred to as solid oxide cells (SOCs), can operate reversibly as shown in figure above. The research, described in a recent study published in the prestigious European journal, Angewandte Chemie International Edition has been also selected as a ‘Hot Paper’ by the Editors for its importance in a rapidly evolving field of highcurrent interest. It has been supported by the Mid-career Researcher Program through the National Research Foundation of Korea, funded by the Korean Ministry of Science, ICT and Future Engineering (MSIP). 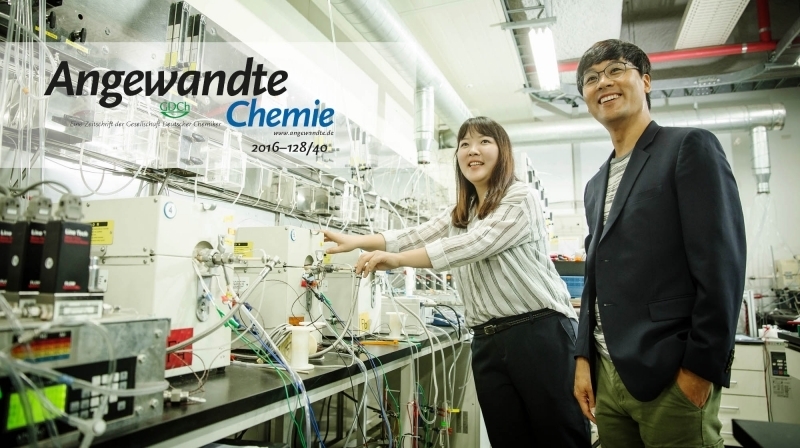 Areum Jun, Junyoung Kim, Jeeyoung Shin, and Guntae Kim, “Achieving High Efficiency and Eliminating Degradation in Solid Oxide Electrochemical Cells Using High Oxygen-Capacity Perovskite”, Angewandte Chemie, (2016).